Water Filters by HealthyWaterSupply - Free Shipping| European Style Faucet for RO Reverse Osmosis Water Filter System. NSF Certified Lead Free Designer Faucet. Color: CHROME PLATED. 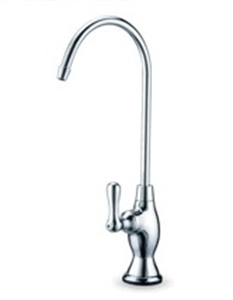 European Style Faucet for RO Reverse Osmosis Water Filter System. NSF Certified Designer Faucet. Color: CHROME PLATED.